Potential solar customers are often inundated with lots of information about their many options for solar contractors. They’re presented with facts and stats they may or may not understand. One of the best ways to communicate a message that delivers real results is through the time-tested art of storytelling. Personal anecdotes and stories are messaging that everyone can relate to. They inspire confidence and make technical details easier to digest. The bottom line is that consumers want to know how a given solar option can make their lives and businesses better, healthier and more affordable. So marketers need to meet them with those answers at the ready. Let’s take a look at what two large national solar companies are doing to get the word out. Sunrun recently launched a series of ads that promote neighborly competition. The ads spotlight a suburbanite who realizes how much money he is saving after installing Sunrun solar panels on his roof. He finds that he “smells like money” as one less fortunate neighbor gets a whiff through the hedges. While saving 20% on your electric bill is the main message, the story is delivered with humor and not only informs, but entertains. Vivint Solar’s marketing message is to redefine the home experience and make solar energy a key part of it. A video on their website showcases an interview with a mother of four who explains how easy going solar was while her kids play in the yard. She says, “Putting solar panels on our home makes me feel like we’re doing our part to help the environment and it also helps for the future of my children.” The video takes the homeowner through a series of images that show how others are enjoying these benefits in their home and how other consumers can too. Who are you talking to and where are you right now—online and offline? How can you dispel myths and fears around solar without sacrificing the facts using content marketing? What are your competitors doing and where are the opportunities for you to do something completely different? Where is your unique advantage in marketing—video, interactive content, advertising in a new market or something else? After answering those questions, start a marketing campaign with a story. For example, a family-owned solar provider for new homes should craft stories featuring a young couple investing in solar for their first home and navigating that investment, or showcase the family with grown kids that want to pass their solar-powered home (and its energy savings) to the next generation. 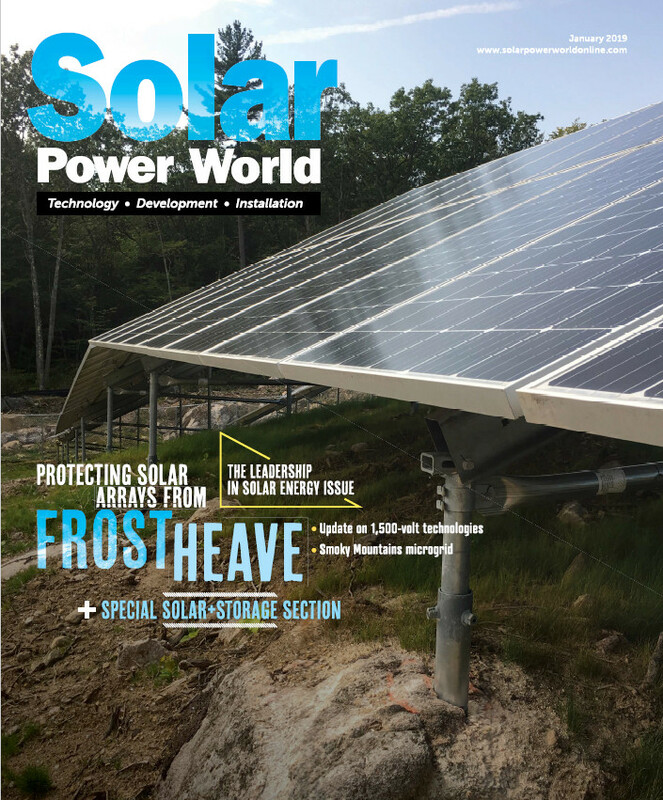 For large-scale commercial solar enterprises, the audience needs anecdotes, visual examples and stories about how others were successful in working with a solar company. Write stories about the CEO who wanted to make sure the business reflected its sustainable values, or the CFO who knew that solar investments would reduce overhead costs in the long run. Companies could write about the farmer who stabilized his or her income with a solar farm and can now provide for their family regardless of annual crop performance, thus reducing stress and sleepless nights. “Each story needs to have an emotional impact and a clear character, and ultimately needs to align with the audience’s core values,” Campbell said. Simply writing about numbers—money savings, tax incentives, etc.—won’t stir up an emotional response for prospective customers. Using firsthand stories of customer successes is a much more productive marketing tactic in the solar industry. “Everyone gets tangled up in the numbers, scientific details and up-front costs. This is where your prospects will start to drop off,” Campbell said. In order to convert potential customers into paying customers, companies should prioritize visuals that demonstrate the power and reward of solar: videos, live demonstrations at events, easy-to-understand infographics, thermal imaging photos and side-by-side cost comparisons. Don’t be afraid to tap some new ideas and make solar relatable, emotional and real. Customers and prospects will see the difference.